A tour that combines culture and passion for nature. The tour Pompeii, Vesuvius and Herculaneum departing from Amalfi Coast will take you back in time, You discover how the ancient Romans lived about 2000 years ago, which will help you appreciate how the most famous volcano in the world destroyed the cities of Pompeii and Herculaneum in 79 A.D. fascinating tour that will thrill you every step of the way. Our English speaking private driver will pick you up at your hotel on the Amalfi Coast (Positano, Amalfi or Ravello) to lead you to the first leg of the tour towards Pompeii. Pompeii is one of the major archaeological sites in the world in terms of size and preservation of its artifacts. The city has remained almost completely intact thanks to the eruption of Vesuvius for more than two thousand years, The eruption which took place in 79 D.C. Entering the excavations you will relive those times. You will see the amphitheater, the thermal baths, the temples of Isis, Jupiter and Apollo, the Macellum, and the House of the Faun. 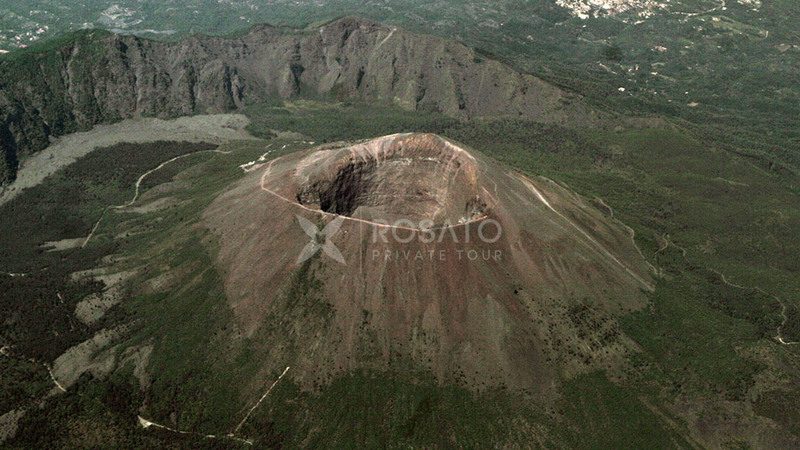 Our tour will continue after two hours towards Vesuvius. 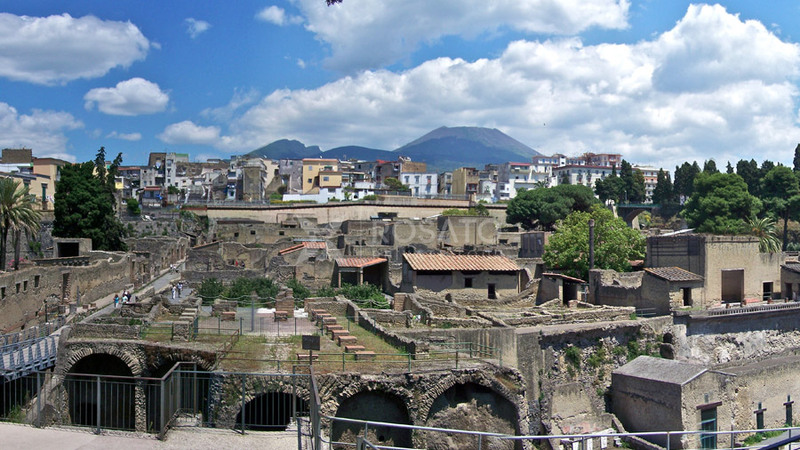 The second leg of our tour includes a visit of Vesuvius, the volcano that ruined the cities of Pompeii and Herculaneum. Your private driver will take you to the natural park for you to start an interesting and fascinating walking tour of around 40 minutes where you will reach the crater of the volcano. From the top you will be able to admire an amazing sight of the entire bay of Naples. After taking a number of memorable photos you will return back to the car where your driver will be ready to lead you towards the last leg of the tour: the ruins of Herculaneum. Our tour would not be complete without also seeing the ruins of Herculaneum, here you can see frescoes and mosaics in excellent condition. The Domus of Herculaneum is unlike those of Pompeii,they appear to be smaller but much more rich and sumptuous, many precious decorations and the frescoes that make us think that Herculaneum was a tourist town that inhabited the ancient Romans for their holiday. 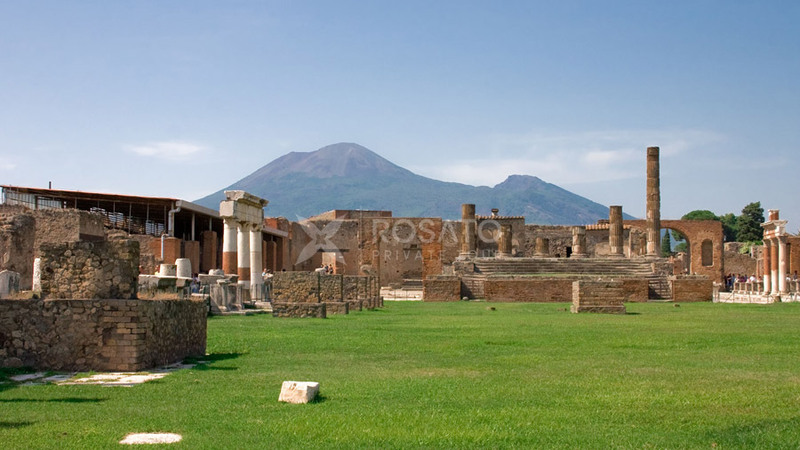 The Pompeii, Vesuvius and Herculaneum tour will bring you home with many stories to tell your loved ones and a series of unforgettable emotions. If you wish we can organize a detailed tour with an authorized archaeological guide who will accompany you during your visits of the excavations sites.